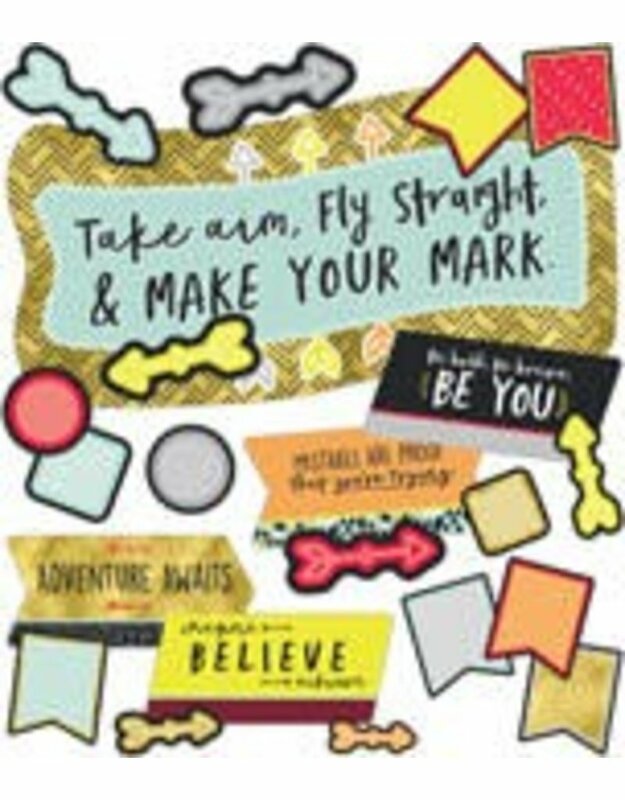 Encourage positive attitudes with the Aim High Make Your Mark bulletin board set. The set includes:- 1 header- 6 inspirational signs- 6 squares- 6 circles- 12 arrows- 30 pennantsThis 61-piece set is ideal for classroom management. --Carson-Dellosa’s bulletin board sets are perfect for adding visual interest to any area of your classroom. These sets are designed for versatility, and you can use them to decorate or motivate. Be sure to browse additional Aim High products to create a unified classroom.